You’ve probably heard of Snapchat. It is the newest and coolest kid on the block among all social media networks. And no, contrary to what you might have heard, Snapchat is not a sexting app. I am not saying that young people do not use the app for such purposes. 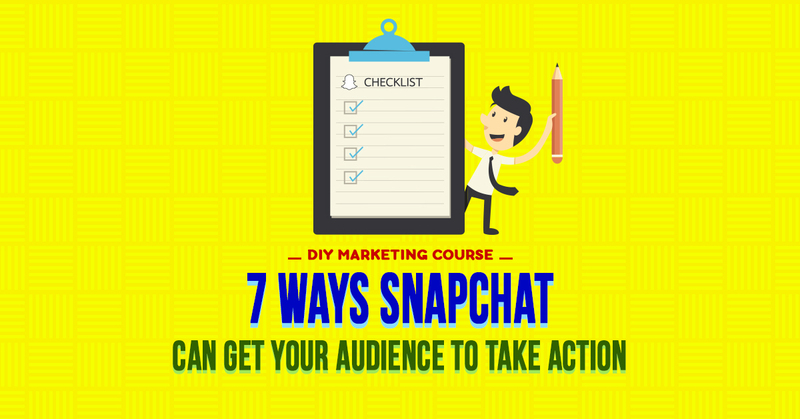 But, most Snapchat users are leveraging it to get their audience to take the desired action. Just because Snapchat can be used to send photos that would make a monk go blind does not mean that it cannot be used for business. The social networking app, which is available on the Android and iOS platforms, allows users to share photos and videos with their friends, while putting a limit on how long the recipients can view the sent items. By default, all communication on the app auto-deletes in 10 seconds, which is just enough for the recipients to savour the photo or video before it’s gone forever. To view a sent item, the recipient holds down a button. Once he releases the button, or the few seconds to view it has lapsed, the photo is deleted. Snapchat was officially launched in September 2011.
Who is Using Snapchat for Marketing? 16 Handles is an excellent example of a company that hopped onto Snapchat before we even knew it could be used for marketing. In 2014, 16 Handles, a froyo company based in England, conducted a “Snappy New Year” promotion. Consumers were to snap 16 Handles a photo of themselves licking yoghurt at one of their stores. 16 Handles would then Snapchat them a discount coupon to use in the store sometime in the future. Since snaps last only for 10 seconds, users had to wait until their next visit to the store to open the snaps to find out what their coupon code was worth. All coupon codes were valued between 10% and 100%. Customers, therefore, knew they had a real deal going. But they had to wait until they were in the store to open the snaps. That ingenious marketing tactic drove tons of repeat customers to their stores. When used tactfully, Snapchat can be one of the most potent tools in a digital marketer’s arsenal. Throughout this guide, I have shared success stories of great brands that achieved extraordinary marketing success via Snapchat. I hope these stories help to motivate and give you ideas on how to incorporate Snapchat into your marketing. The lazy marketer will probably give a thousand reasons why Snapchat cannot work as a digital marketing platform for businesses. The savvy marketer, on the other hand, will leverage Snapchat while the opportunity is still there. I personally think that marketing is about being innovative. As a marketer, I’ll try all forms of the newest tech tools. You never know which one will work, and even if all of them fail… well, at least you tried and learned. What’s the major appeal with Snapchat? To start with, the platform is relaxed. It is not as formal as the other major social media platforms such as Twitter, where the posts you make are permanent. Posts on Snapchat are short-lived. In an age where every business and social media marketer is their own PR guru, Snapchat gives you the freedom to express yourself without fear of falling into inexplicable PR blunders. In addition, the social networking app has a relaxed feel. 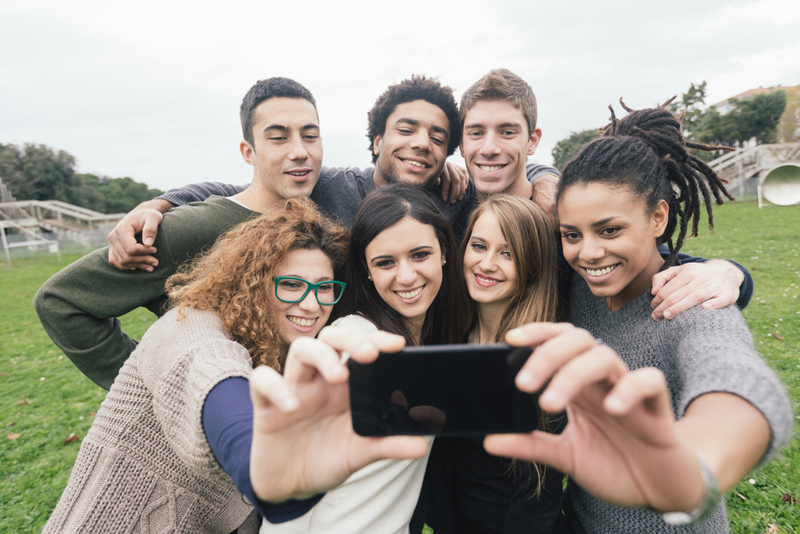 Snapchat was first a favorite among high schoolers. However, it didn’t take long for college students to get into it. Before long, everyone was using Snapchat. Presently, Snapchat competes with major social networks such as Facebook and Instagram. It’s gone viral, and there is no stopping it. It is ranked as the third most popular social network among millennials. The app is more popular than Vine, Twitter, Pinterest, and Google Plus. Even Facebook knows that the Snapchat is hot, and must have been dazed when Evan Spiegel and Bobby Murphy, the two Snapchat Founders, turned down Mark Zuckerberg’s $3 billion buyout offer! 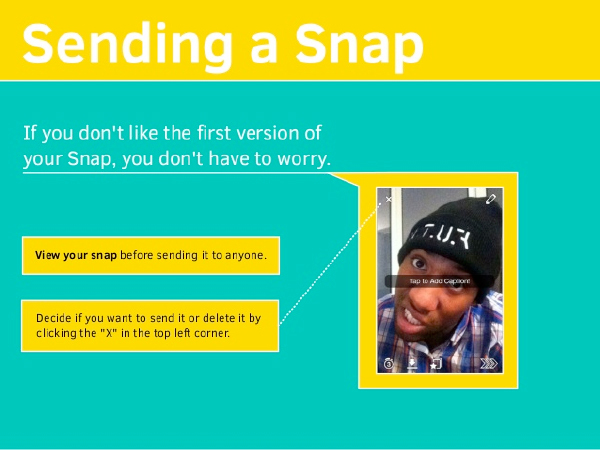 If you had not heard of Snapchat before you came across this guide, you are not alone. Although the app is remarkably popular, it is still new enough to make those who use it appear “more in the know”. Becoming the first brand in your industry to gain traction on Snapchat will earn you some big love from your fans. Adding Snapchat as part of your digital marketing mix doesn’t mean that you have to start from scratch. If you have audience in other social media platforms, incentivise them to join Snapchat. Offer the audience you have gained on other social networks a deal that they cannot resist if they join and follow you on Snapchat. These could be exclusive coupon codes, intriguing behind the scene shots, and the chance to deliver an awesome experience to Snapchatters. If your brand is targeting millenials, there is no better place to find them than on Snapchat. Statistics show that 75% of Snapchat users are under the age of 25. This makes it one of the best places to find and engage prospects between the ages of 13 and 25! Unlike Facebook, Snapchat offers a simple and uncomplicated interface, which provides the best means of communication for Generation Y. In an age of doctored and paid-to-play timelines, Snapchat offers a way to engage with your brand in real time. The creative marketer will capture fleeting moments of a company’s experience and use them to engage prospects. Did you know that the human brain processes visuals 60,000 times faster than it processes text? Visuals help us understand a situation and connect it with our emotions. Brands use visuals to tell their story and make it understood more quickly. That is what Snapchat means for marketers. Marketers dream of capturing their prospects’ attention and holding it in a vice-like stance… but in the age of clustered Twitter and Facebook timelines, getting users to engage with your content is a dream that many of us hope for. Snapchat might just be the game changer. Unlike other social networks, Snapachat demands one’s attention. You can’t just skim through the content. You’ve have to be actively engaged in consuming it. The message arrives as a little gift box that is packed with intrigue. You don’t know what is inside. You are curious to see what the Snap contains. At the same time, you know that the message will be gone in a matter of few seconds. There is nothing else to do but to give the message your undivided attention. Attention is the digital marketer’s Holy Grail! But you must make sure that your message does not disappoint. Okay. Now that I have your marketer’s tastebuds all whetted up, it is time to take the plunge. If you are the owner of a small business, you should not have any issues using your personal email address. I have to emphasise on the importance of having a strong and unique password on Snapchat. If someone manages to hack your account, they could cause a lot of damage sending content that you wouldn’t want associated with your brand. This is probably the most important aspect of setting up your account. You will have a @myname username that will be used by people to mention or to search you when they want to be added as your follower. The best practise here is to use your business name for account name. If you are an individual, your real name will do. It is also important that your Snapchat name have some resemblance to your Twitter username and by extension any other account that might use a @username. Note: Even if you don’t plan on using Snapchat right away, it is a good idea to sign up and reserve your username. If you don’t, you might find yourself in a situation where someone has signed up with your business name and refuses to relinquish it without a legal battle! To take a photo, tap once on the greyed circle at the bottom of the screen. The camera will capture whatever was in focus. To take a video, hold down the same circular button until you are done recording. 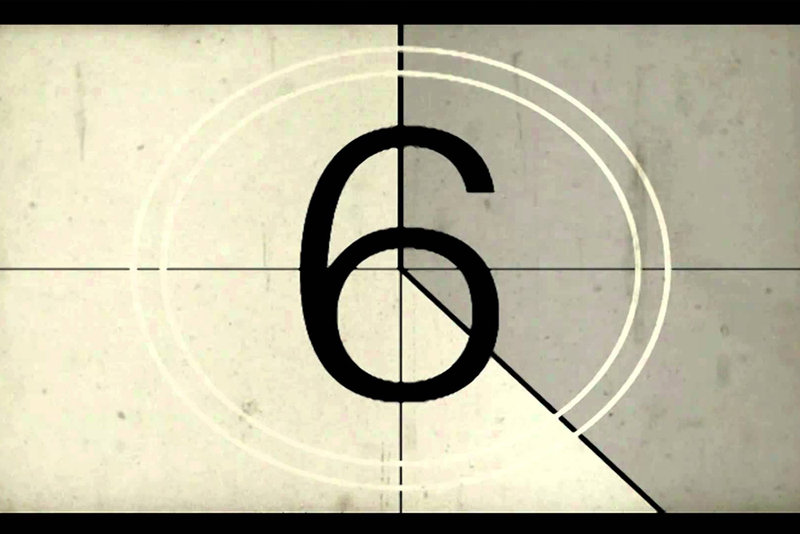 The maximum length of a clip is 10 seconds. You can view your snap before you send it out to the world. 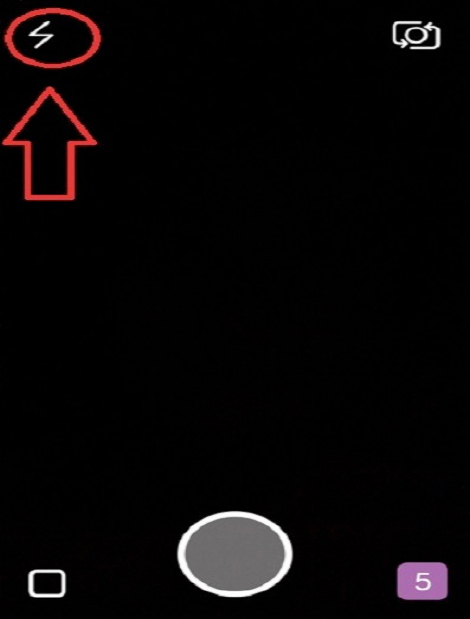 If you don’t like it, Snapchat allows you to delete by tapping on the small x at the top left-corner of the screen. If you would like to send the snap, select the number of seconds you’ll like a user to see the snap before it disappears. The maximum length is 10 seconds. After taking a snap, tap at the centre of the screen to type a short blurb for your audience to read. Once you have finished typing and double-checked that you’ve not made any ridiculous typos, screen anywhere out of the blurb area to exit typing. After you’ve ascertained that your snap looks how you’d like it to look, click on the arrows in the bottom right hand-corner, select who you’d like to see the snap, and that’s it! You have just sent your first snap. Snapchat gives you a whole range of tools to help you enhance your snaps, stand out and captivate your audience. The tools range from location-specific filters, fancy texts to drawing tools and more. I’ll be sharing with you some fancy things to make your snaps really stand out. You need to make sure that the app installed on your device is up to date. To update Snapchat, visit the Google Play Store or iTunes store. Download and install the latest versions available. Open the updated app and click on the gear at the top right-hand corner of the app. Tap ‘Manage’ then ‘Additional Services’. On the ‘Additional Services’ section, you can configure a number of additional fancy tools including filter, fancy text, replay, and front-facing camera flash. Snapchat allows you to have captions on your snaps by default. That’s cool, but what if you want to overlay your snaps with emojis or make the text caption text larger? This is where fancy text comes in. Tapping the letter ‘T’ next to the pencil on the top right-hand corner of your snap drafts enlarges the text and emojis that you type. There are many reasons why you might want to edit your contact’s display names. Maybe you’d like to give your most engaged contacts unique names. You can edit the display names to show whatever you like. When you are on the camera view, swipe down to get to the Contacts Screen, tap on “My Friends” to see a list of your contacts. 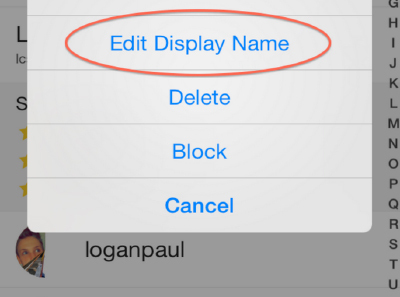 Tap on the name that you’d like to edit, then tap on settings, and Voila! Snapchat allows users to add Instagram-like filters to their snaps. Simply swipe your finger left or right to preview all the different filters. With such a diverse assortment of filters, you never have to send a boring snap ever again. Filters are another way to keep your audience engaged. There are those moments when you want to take a snap, but the lighting wherever you are is a big letdown. No worries. Snapchat comes with a cool front-facing flash that will instantly brighten your photo. 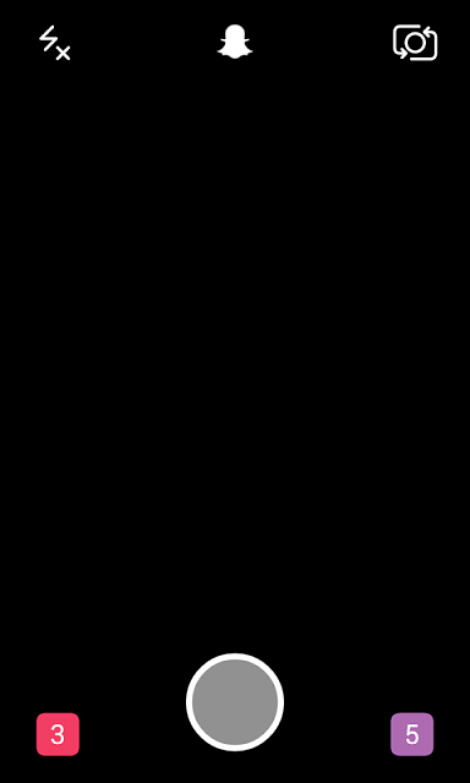 Turn on the flash by tapping on the lightning symbol at the top-left hand corner of your screen. The best way to use some of these features is by mixing them up. Never be predictable. Unpredictable brands create anticipation. 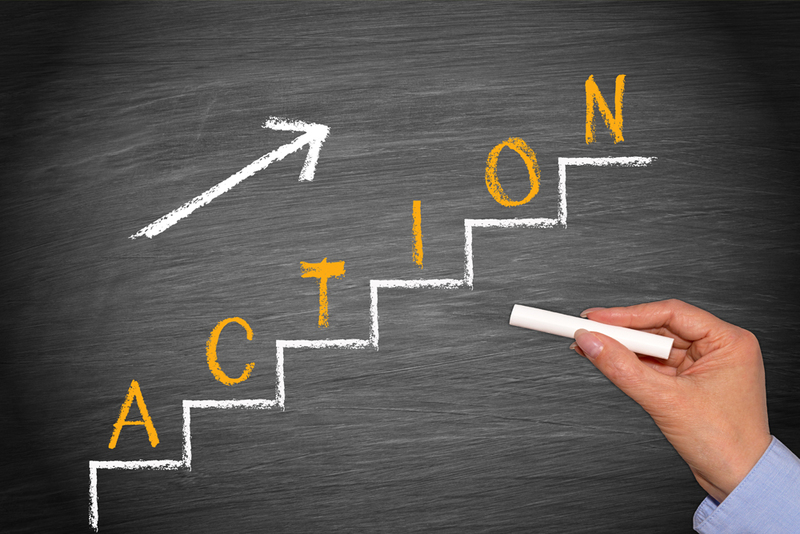 Anticipation is a strong marketing emotion that keeps your prospects looking forward to your future offerings. But How Do You Craft Messages That Your Target Audience Longs to See? How do you think you can see in one second? That’s something worth trying when you are marketing on Snapchat. Shorten the length of your snaps to one second and force your audience to concentrate 100% on your snap for that one second. A Snapchat Story is a photo or video that you post on your “Stories” section on Snapchat. This section is visible to all your friends. Unlike ordinary snaps, you can extend the life of a story for up to 24 hours. 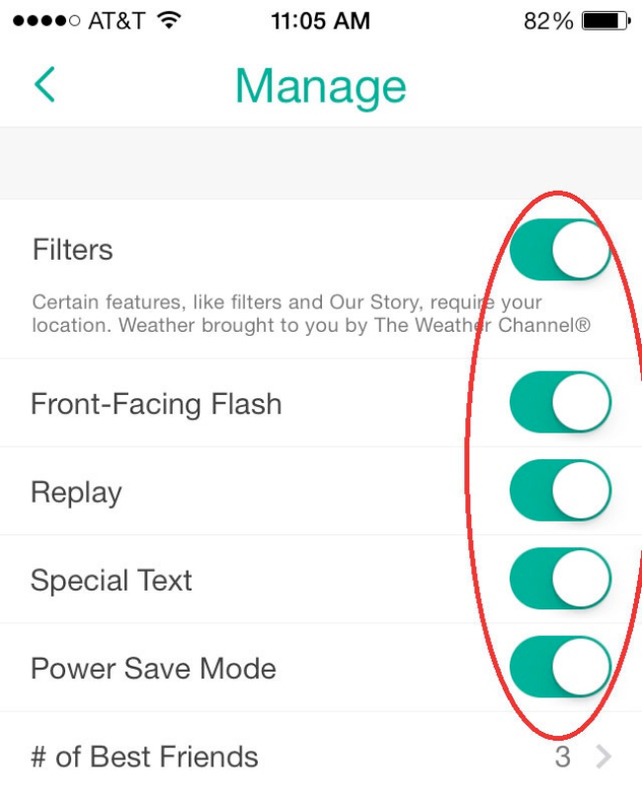 Instead of sending individual snaps, consider compiling snaps into a narrative that you put in your stories section. Like every good story, give yours some suspense, and make your prospects anticipate the next episode. What is your competition doing on Snapchat? Are they doing it right? Can you market better than them? Spying on competitors can inspire your marketing. You do not operate in a vacuum. See what your competitors are up to and try to outwit them. Ultimately, you must answer the one very important question: What do you want to achieve by being on Snapchat? Are you doing it because everyone else does? The total lack of marketing goals is worse than not marketing at all. Without a concrete marketing plan, you’re burning money and time. Like every other social media channel, Snapchat gives you an opportunity to flaunt the human side of your business. The Snaps that you share on the app should reveal an aspect of your business that might be hard to show on formal channels such as your website. Use Snapchat to show off what happens in the making of the final product or service. If you are a graphic designer for instance, create a story that starts with an empty canvas, and show its progression to a fine piece of art. Ask different people in your business to contribute their ideas and content on your main Snapchat handle. With time, you’ll realise growth in not just your followers but also your business. Brands are gaining traction on Snapchat. If you’ve not heard of DJ Khaled, that is probably because you are not on Snapchat. He is the undisputed “King of Snapchat.” He has over 6 million active followers, a dream many marketers will only live in their sleep. But just how did the Miami-based DJ become so popular on the social app? There is so much you can learn from DJ Khaled about marketing. By not trying to market anything, DJ Khaled has managed to create one of the most powerful marketing channels on Snapchat. I am yet to see a self-promotional Snap from the DJ. All his Snaps ooze with positivity and you can tell that he has a genuine concern for his audience. His snaps get 2 million views within two seconds of posting. Tell me whether that is not marketing gold right there? He’s made users excited about his motivational video snaps, and he never disappoints. Lesson: Create a consistent brand message, know your audience, and cater to their needs. Next to DJ Khaled, McDonalds owns the Snapchat world (almost). The company constantly snaps pics of LeBron and fascinating behind the scene shots of other athletes. In addition, McDonalds also snaps delicious looking bites, and invites their followers to Snapchat contests. It might not be a name that you’ve heard. But Chris Carmichael, a 28-year old snapchatter from Los Angeles, is one of the most influential people on Snapchat. Chris has built himself into a brand that major movie producers including Fox, Universal, and Lionsgate consult with when they are doing Snapchat promotions. On a good day, Chris earns up to $1,500 doing sponsored deals for companies. But he didn’t become a Snapchat celebrity overnight. His success took him almost one year of actively telling stories on Snapchat. Patience is a key to success on any social media network. Growth is gradual, but when it finally arrives, it is usually worth all the time you spent getting there. Chris’s advice to brands: Tell stories that are real. If you work with an influencer, let him take the reins on content creation. Some brands want to dictate what an influencer shares. But what the brand wants might not be necessarily what the audience wants, and this ends up making the campaign ineffective. Taco Bell actively goes where its audience hangs out. The company has been using Snapchat to introduce new menu items and build engagement via Snapchat Stories. 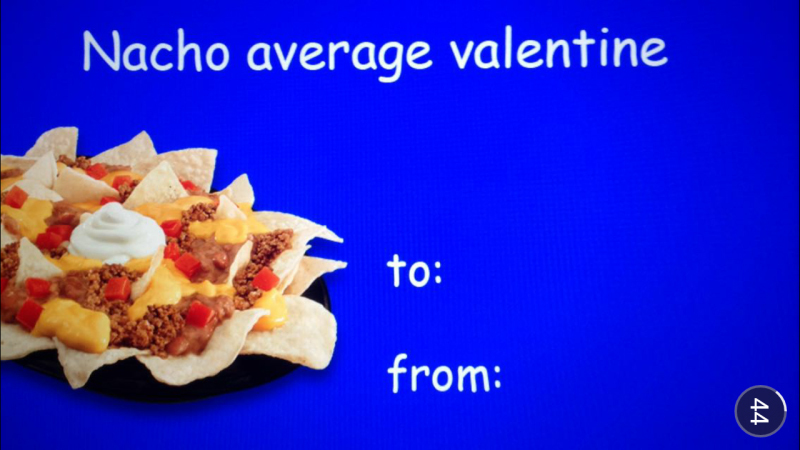 Tacos most creative and memorable Snapchat campaign must have been the Valentines 2015 promotion. The brand published a series of witty Valentine cards that users can edit and then forward to their sweethearts. The lesson here: Marketing needs to be customer-centric… and what a better way to do that than to send well-timed snaps to your followers. GrubHub uses Snapchat to keep its presence on social media fresh and to give customers updates and special deals, which are often exclusive to Snapchat. The company first teases their deals on Twitter, but to snag them requires customers to be on Snapchat. The fans are more engaged and more likely to spread word about the service. The company also uses the social network app for their recruitment drives. 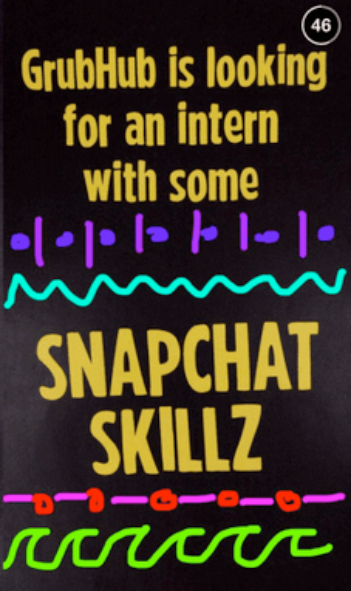 In the snap below, the company is looking for a Snapchat-Savvy intern. The pre-interview qualification in this case was for the right candidate to create a winning doodle. There is much that you can learn from GrubHub: I personally like the way the brand has been able to use other social media networks to raise awareness of their Snapchat presence. 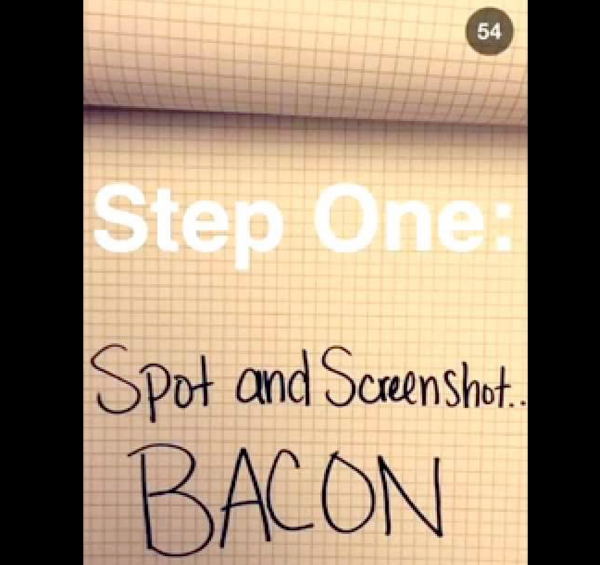 Like many other brands, Wet Seal snaps Snapchat-exclusive behind the scenes of their company. They have also been using short-lived coupon codes to drive sales. However, they added a creative spin to their marketing to reach even more customers. They collaborated with MissMeganMakeup, influencer in the fashion industry who has hundreds of followers on multiple social media accounts. The 18-year-old fashion and beauty blogger has over 320 subscribers on YouTube, over 100K followers on YouTube, and more than 194K followers on Instagram. Here is the core lesson: Regardless of which social media channel you want to capitalise on, you cannot ignore the influencers in your industry. Brands that have found success on Snapchat should inspire you to be the best, and with the right level of effort, you can be among the best. Can you get as popular as DJ Khaled and the other brands that that have millions of followers on Snapchat? No, you probably won’t. But that does not mean you should stop growing your followers. 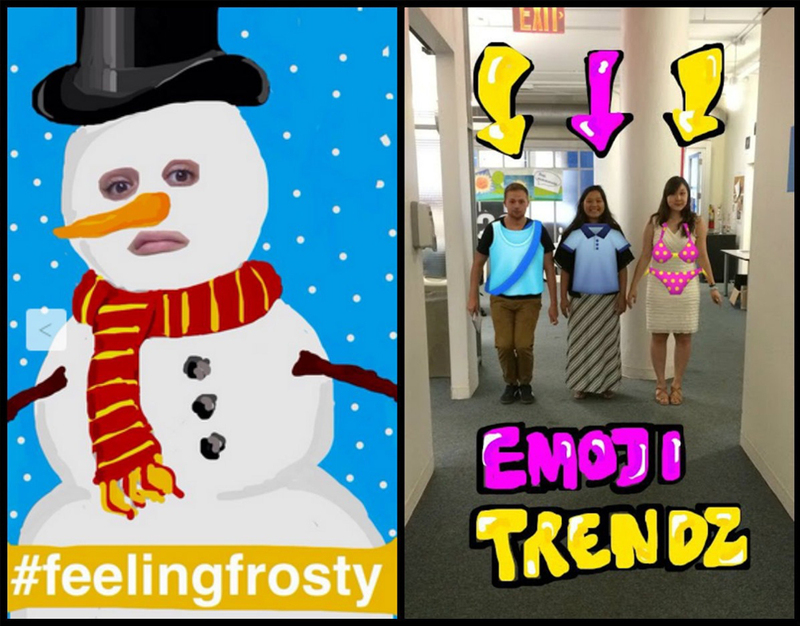 If Snapchat were Facebook, you would probably do a one-month low-budget ad campaign. After thirty days, you’d be a few thousand richer in followers. But Snapchat isn’t Facebook, and nothing is cheap about advertising on the platform. A sponsored one-day selfie unit on Snapchat will set you back a good $750,000! If you don’t have the budget to match (and very few businesses do), you will have to find creative ways to grow your presence on Snapchat. One of the common ways that we have seen brands use to grow their Snapchat presence is to promote their Snapchat content on older social media channels where they have a following. Snapcodes, which are QR-like avatars, must be the most ingenious invention that Snapchat has come up with. Not surprisingly, Snapcodes have become one of the most popular ways for brands to build an organic following. A slew of web-savvy marketers, including Huffington Post, Cinnabol, and Toys R Us, at one time changed their Twitter avatars to Snapcodes to encourage users to follow them. 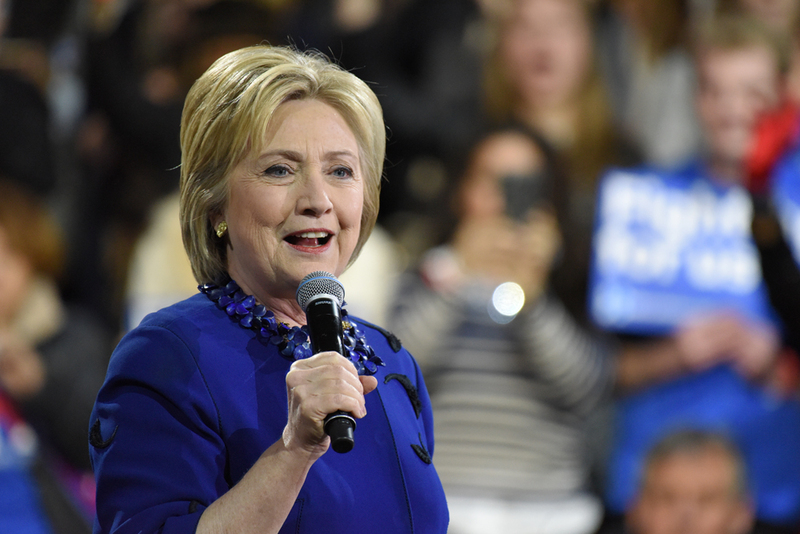 Rick Perry and Hillary Clinton, two American presidential hopefuls, swapped their Facebook profiles photos for Snapcodes to get younger voters to follow their campaigns on Snapchat. Combined with posting your best Snapchat content to tease users, swapping avatars with Snapcodes is one of the best ways to get users to follow you. In November last year, Sprite did something that no one anticipated. It invited millions of users to have their Snapcodes printed on their soda cans! This would help them (consumers) gain followers. The company created a microsite that allowed users to submit their Snapcodes. The company then went ahead to print these Snapcodes on Sprite cans in Brazil. If that is not a spark of marketing genius, I am not sure what is. It only cost the Coca-Cola company a few extra bucks to print the Snapcodes on cans, and in return, they raised awareness of their Snapchat account. In just a few days, the Sprite Snapchat account received two million views! If you have a product that needs packaging you could try a similar ploy. If you can’t afford the $750,000 Snapchat advertising fee, you’d probably be able to afford to hire an influencer on the platform. Loot Crate and Coca-Cola are among the brands that have used influencers to grow their presence on the platform. Loot Crate hired Shaun McBride (Shonduras on Snapchat) while Coca-Cola has worked with Cody Johns to grow the account for coke. Find a person with a heavy following on the app and see whether they might want to give you a shoutout. With the virality of Snaps, you never know what will happen. You’ve probably amassed a ton of loyal readers for your blog. Use it to announce your entry on Snapchat. You may also want to explain how it works, especially if majority of your readers are not of Generation Z. Snapchat might be a darling for the teens, but older generations have a difficulty understanding how it works. Post your Snapchat videos and pics on other platforms such as YouTube and Instagram. It will give you more exposure. Let’s assume you have managed to get the numbers. You are now the prince of Snapchat marketing, soon to be king. 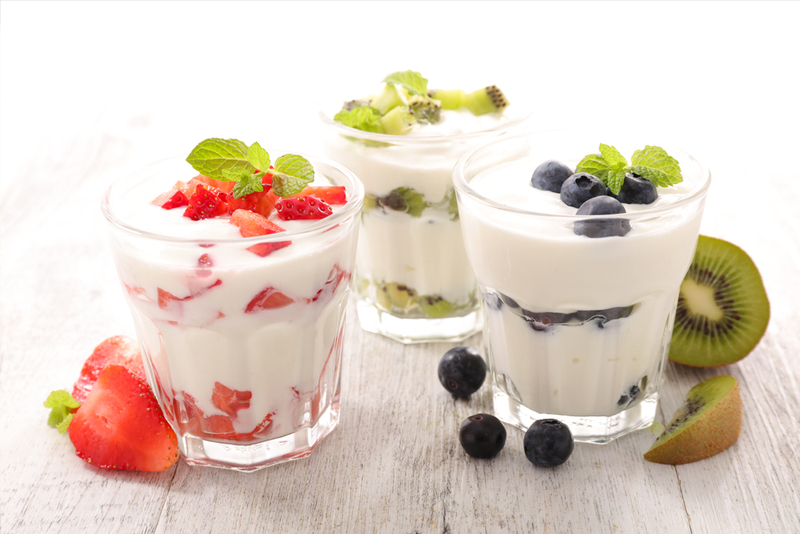 It is time to shake things up a little bit. We want you become a rockstar by creating an exceptionally outstanding experience for your users. But at the same time, you have to keep one thing in mind. Snapchat is not like any other social media site. Your posts won’t be archived. Users only have a fleeting 10 seconds to view your ad. Sounds scary, doesn’t it? The time-limit on Snapchat is a great way to leverage urgency. Giveaways are a great way of building engagement on the platform. With the pre-giveaway snaps, my aim would be not only to create anticipation, but also to build engagement. I’d ask users to answer a question, submit their name or email on my lead platform, or invite their friends to follow my account, depending on the goals that I am looking to achieve. The company posted a daily challenge. The winners, announced at the start of the next day, walked away with a $50 free takeout from GrubHub. During the 7 days that the campaign ran, GrubHunt witnessed a 20% growth in their Snapchat followers. Snapchat is all about human relationships. You are allowed to floss your imperfections. No one will judge you. Young people who have a genuine thirst for making friends frequent the platform. The most engaging brands on the app share the behind the scenes of their workplaces. It could be colleagues having fun or a peek into the company’s culture. The audience on Snapchat is more likely to engage with impromptu, unplanned, and unpolished content. 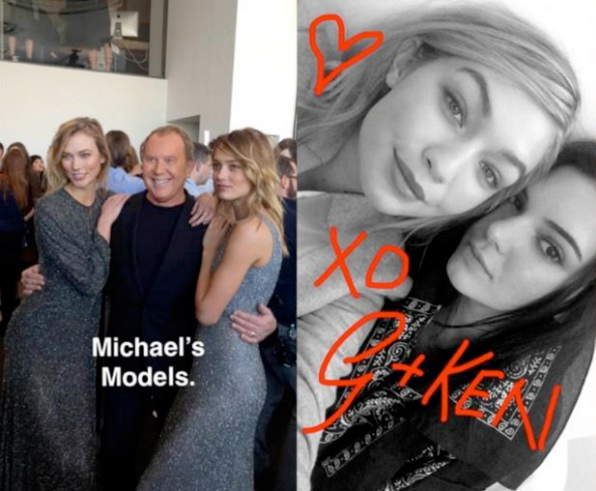 During the New York Fashion Week, a group of designers took Snapchat by storm by posting quick snaps of behind the scenes. 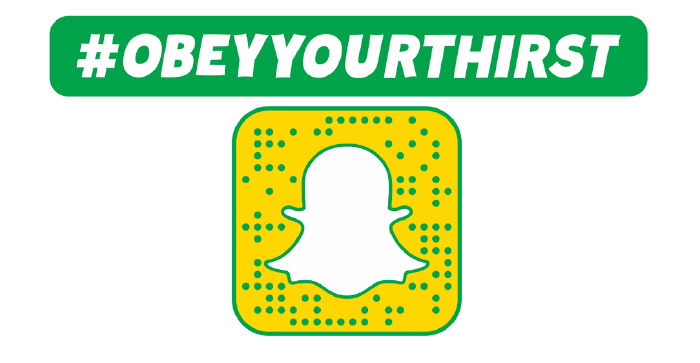 They snapped runways, personal moments, and selfies that created a tangible buzz on Snapchat. With its Question and Answer sessions, Snapchat takes interaction to a completely new level. Make use of the Q&A sessions, but try to be cheeky. There is a difference between an interview room and a social networking app. If you can manage to be cheeky, go for it. The disappearing nature of communication on Snapchat gives you the freedom to drop the reigns and for once show that side of yourself that is overly unofficial. Formal questions are a no-no on Snapchat. Remain casual. Snapchat offers users an option to aggregate snaps into a story, a relatively durable compilation of photos and videos. As a business, you can create a story and progressively add snaps to it. If you are launching a new product, consider posting a blurred snap of the item say at 12 noon. At 3 o’clock, add a slightly visible snap to the story. On and on, until the launch hour! This creates anticipation like you’ve never seen before. However, before adding a story, go back to your account settings and make sure that all users are allowed to see the snaps. You should also enable the ability for followers to send back snaps to you. This heightens the engagement and gives you more reach. Snapchat is here to stay. You cannot wish it away. The best thing you can do is learn how to integrate it on your marketing mix. At the rate at which the social networking app is growing, it will soon be the most popular social network in the world. Don’t you think that learning about it will only benefit your marketing? Snapchat’s authentic feel creates an impact with customers, and can strengthen your brand’s marketing retention levels.